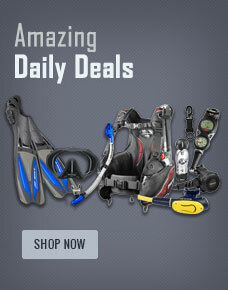 Every diver has different needs, so Divers Supply has packages to fit your specific needs as a scuba diver. This package comes with a Regulator, Octopus, Air Integrated Computer and a few upgrade options. 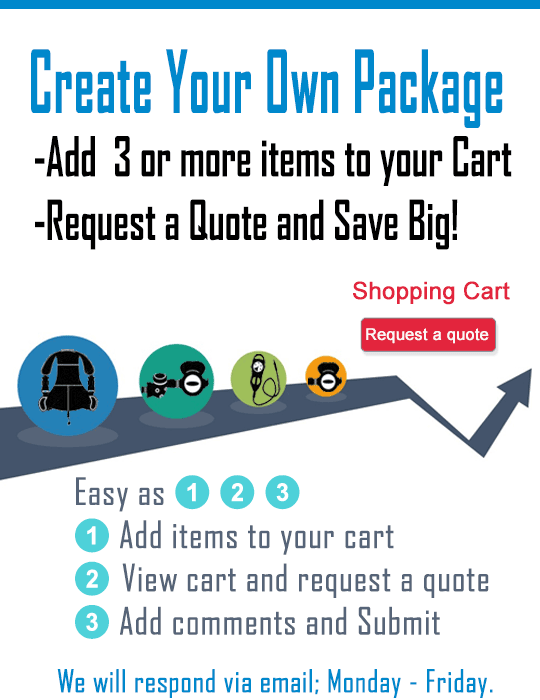 Unlike other dive centers (even possibly your own local dive store) where you may find few options and possibly, only the one that they want to sell, we give you choices to customize your package. Be confident that all equipment is fully inspected by factory trained certified scuba divers. If you find an item that will better fit your needs let us know and we can price it in this package. HOG’s low profile Diaphragm Regulator is a Balanced Diaphragm 1st stage with, 2 HP and 4 LP Ports, Compact size with a Black Chrome finish. The HOG Second stage gives you ergonomic one-handed access to both the inhalation effort knob and the dive/predive venturi adjustment lever, making perfect regulator tuning easy. Comes with 29" Black flex hose. THE Second Stage for Technical Divers! Technical divers demand performance, durability, and dependability from their gear. Pneumatically-Balanced Second Stage has diver adjustable pre dive/dive selector allows for quick and easy tuning of the regulator for maximum air flow when in use but slight detuning for when it is not in use. Comes with Edge Flex HP Hose, Black flex hose. Mares Smart Computer equipped with a sharp and a clear display, it has perfect look, user-friendly and can be worn every day as a watch plus has all the features your looking for in a dive computer. 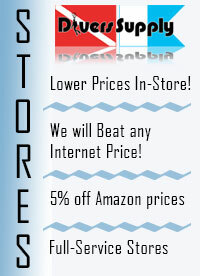 Buy Scuba Regulator Package of the Month with Computer from Divers Supply at the best price. Scuba Regulator Package of the Month with Computer comes with full Manufacturers warranty because Divers Supply is an authorized dealer for everything we sell.